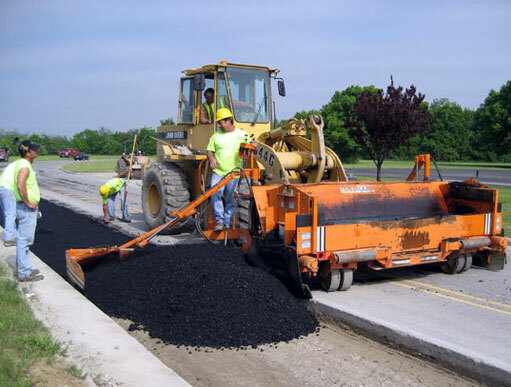 Asphalt Inspection and Maintenance: Being Prepared for Budgetary Needs of Asphalt Repair - NVM Paving & Concrete, Inc.
Asphalt maintenance is an essential element and concern for every commercial property owner and manager. The longevity and appearance of your asphalt depend on several factors but mostly upkeep. In order to ensure the life and appearance of your pavement, you will want to perform routine inspections and repair any damage as it occurs. You will want to perform a minimum of one visual inspection every year, likely after winter. Your visual inspection should include watching for any and all common asphalt issues. Once you have performed your inspection and recorded all of the information, determine if any repairs seem necessary or dire. Keep in mind that cracks may not seem problematic at first, but if left unchecked they can allow water to seep into foundation materials and weaken the surface. If you do find that your asphalt is in need of repair, then you will want to acquire a list of reputable companies and receive bids. In addition to explaining your concerns, you will want to provide the contractor with several pieces of information. While it may be tempting to avoid extensive costs by performing a “quick fix,” not every problem can be resolved this way. True, there are surface cracks that may be cosmetic, but even a small crack can be a sign of more significant damage. Don’t risk the integrity of your pavement by assuming the best-case scenario. Let a professional be the judge. For over three decades NVM Paving & Concrete has established a reputation in the commercial paving industry as a leading full-service paving contractor. If your commercial, industrial or multifamily property is in need of asphalt repair and maintenance, then contact one of our representatives today by calling 703-426-2700!